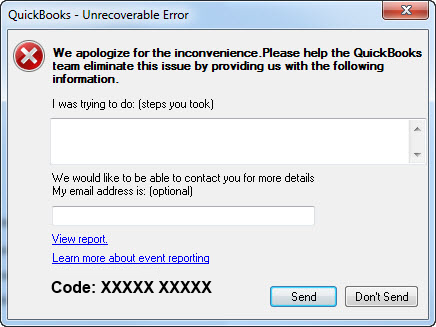 How to resolve the error that causes Quickbooks to crash? "QuickBooks has Experienced a Problem and Must be Shut Down". We apologize for the inconvenience. QuickBooks must close immediately. Any unsaved data will need to be re-entered.